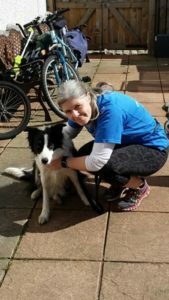 Pippa the Border Collie Loves To Run Free! Kirsty Dunlop would like you all to meet Pippa! 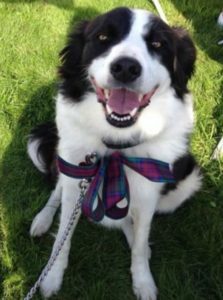 Pippa is an adopted border collie who loves to go on runs and walks with her mom! How did Pippa become part of your family? We re-homed her 3 years ago after she was handed into the local kennels as a stray dog. Does Pippa have any special talents or tricks? Pippa loves nothing more than running free. She joins me every Saturday morning for our local 5K park run and she also enjoys walks including the Speyside Kiltwalk. I wouldn’t run without her now as she is the perfect running partner! She is one of the most loving and loyal dogs I have ever had.